Ever since the practice of keeping systematic records on patient outcomes and performance began, clinicians and researchers alike have been looking for the ideal way to use this information for the greater good. But in the modern age, the sheer amount of data that health practitioners hold on us means that they can use it to find solutions for many pressing health problems – provided they have the tools and framework to extract what they need. Health informatics is one way forward. By using the latest in data analysis tools to process all of this information, it’s possible to measure everything, from why one healthcare setting sees better survival rates than another to the symptom impact that taking a particular drug can have. And as this article will show, the upshot is that healthcare outcomes can ultimately improve based on rigorous, quantitative data insights. Healthcare data has always been used, of course, and the scientific background of those who train as physicians mean that there’s already a bent towards information gathering and qualitative analysis in the profession. But the key feature of health informatics is that it is technological in nature: given that no clinician or assistant could ever be expected to wade through all of their patient data manually, technology can now step into the breach. It’s in this general area that Sudir Raju and other eminent health informatics experts have been able to provide a framework for those in the medical world – and now, the insights of large datasets without the time commitment can be achieved. Once a health informatics system is in place, it can be used for a whole variety of purposes. 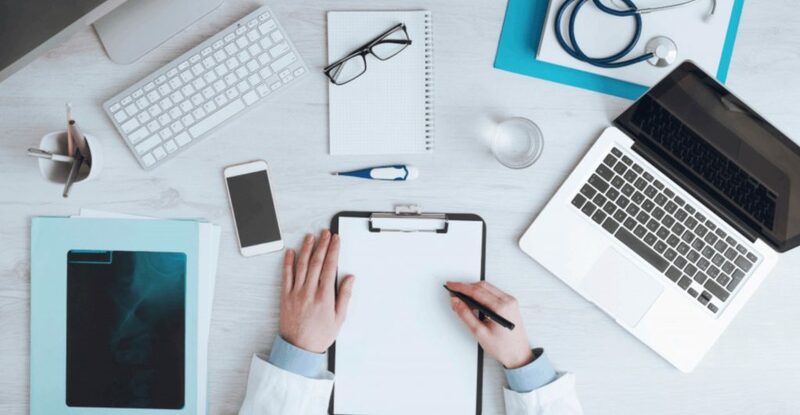 Often, it’s used to research and improve direct clinical outcomes for everybody: electronic patient records come into this category, say, and informatics can be used to ensure that relevant information is accessible in an anonymized format to researchers, hospital auditors, and others. Data on the healthcare settings themselves can also be analyzed in this way. If a particular ward in a hospital is experiencing the outbreak of a bug, for example, everything from cleaning records to staff changeover times can be looked at through the lens of data analysis in order to isolate the cause of the problem. This use of technology is a big development: in previous decades, a trial and error approach was often taken, in which practitioners experimented until a solution was found. Now, systematic consideration of information can lead to faster solution discovery times and a more efficient process. But health informatics doesn’t just stop there. It also looks at the role of individual patient data, and how this can be managed in such a way that it improves outcomes for that particular patient. An optimized and well-adjusted informatics solution can automatically organize a patient’s consultation notes into a coherent format for easy future access by other practitioners, say, or flag some crucial gap in patient information. 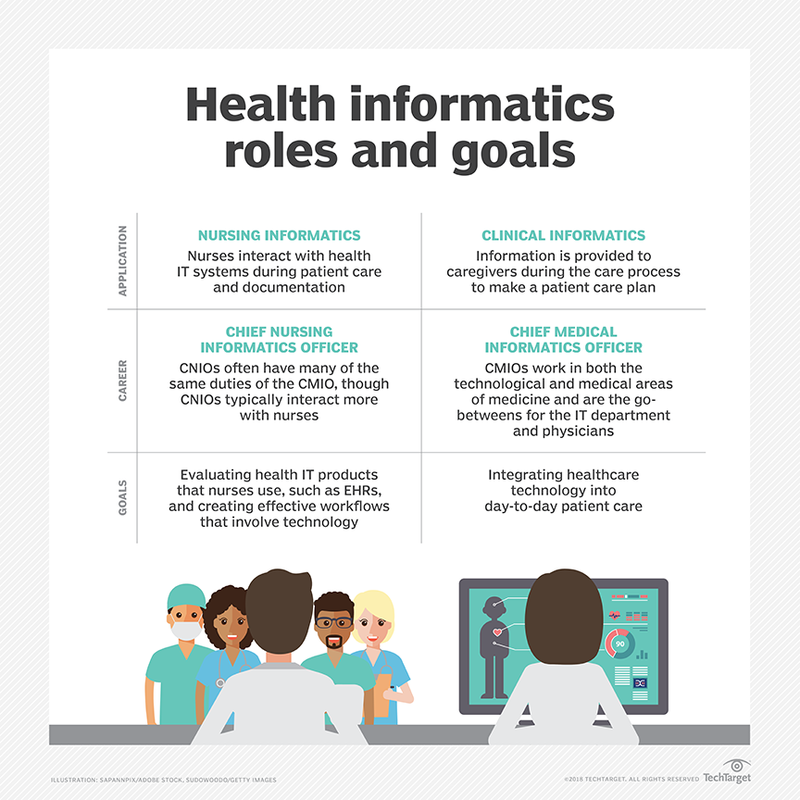 It’s important for informatics leaders to communicate to staff members, especially busy healthcare practitioners with lots to do, on why spending time on information management is essential and what the direct positive consequences on patient care can be: without doing so, staff may begin to consider it simply to be a chore, and the potential of the technology can then be missed. Compiling and analyzing swathes of health data, however, is not without its critics – especially from the point of view of data privacy. When information on a patient is noted down, it’s vulnerable to a greater or lesser extent: security systems can be put in place, but they’re not always perfect. When that data is then shared with other people for informatics purposes, another dimension of risk can come into play – even if the information is anonymized. Luckily, advances in data security mean the risk is getting lower by the year, and changes in the law coupled with a greater cultural understanding of the need to ask for permission before sharing data ensure that it’s now done in an appropriate way. Most researchers now know to make it very clear to the data subject what data will be taken and what it will be used for – and provided permission is then granted, it’s possible to smoothly move the data from the patient record and into the analysis in a secure and private way. Health informatics is quite rightly seen as the next frontier in healthcare data science. It’s a way to extract vital knowledge on why certain patients respond to certain drugs or scenarios, and it creates actionable insights that everyone from clinicians to drugs companies can use to build treatment programs that work for the 21st century.